(Mid’hat bey Frashëri on the left). 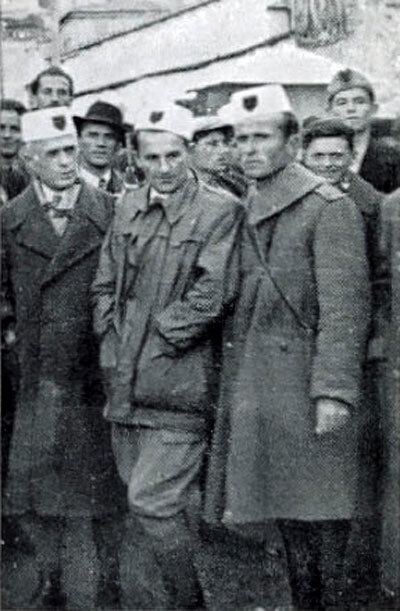 Balli Kombëtar (The National Front) was an anticommunist resistance movement and political organization founded in November 1942, during the Italian occupation, as an alliance of resistance fighters and patriots. It held its first conference in Berat in 1943 and elected an eight-man presidium under Mid’hat bey Frashëri (1880-1949). Its partisan units took to the fight against Italian forces, that capitulated in Albania in September 1943. Initially, attempts were made, in particular by the British Special Operations Executive (SOE), to get Balli Kombëtar and the communist partisans to work together in the fight against the fascist occupiers, but they soon became bitter rivals and Albania descended into civil war. With the victory of the communists in the autumn of 1944, Balli Kombëtar was accused of having collaborated with the Germans, and its leaders fled abroad or were killed. 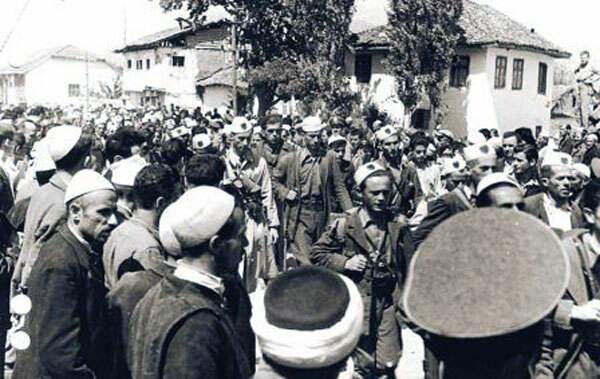 The original objectives of Balli Kombëtar were set out in 1942 in the following ten-point programme, also known as the “Decalogue”. Its social and economic platform was initially more radical than that of its rival, the communist National Liberation Front. Also of note, again in contrast to the communists, is that Balli Kombëtar promoted the goal of an ethnic Albania, a state including all Albanian territory (e.g. Kosovo). We are fighting for the red and black flag, for the defence of the rights of the Albanian people. We are fighting for a democratic, ethnic and free Albania with a modern society. We are fighting for an Albania in which freedom of speech and thought will prevail. We are fighting for an Albania with a proper economic and social balance so that there will be no more exploiters and exploited, that is to say, so that no one will live at the expense of his fellow man, so that there will be no farmers without enough land to live on, so that there will be no blue and white collar workers without housing and security, i.e. we are fighting for a stable Albania with a thoroughly reformed economic system in accordance with the wishes and needs of the Albanian people. We are fighting for an Albania in which the suppressed talents of all strata of the population will come to light, be supported and flourish with the help of Albanian schooling. We are fighting for an Albania in which all positive contributions will be properly appreciated, independent of age, region or faith. We are fighting to create an Albania run by people who have not been compromised, by Albanians who have done their utmost at every time and under all conditions for the salvation and welfare of their country, by competent and honest working men. 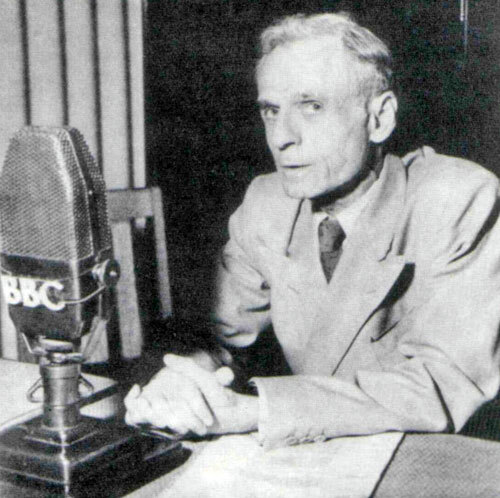 We are fighting for an Albania that, in a strict and exemplary manner, will punish all anti-patriots, traitors, lackeys, troublemakers, speculators and spies; for an Albania in which there will be no place for hypocrites, sycophants, feudal oppressors and anyone who hinders the development and progress of our renascent country. We are fighting to harmonize and unite the creative energies of the nation, to create an intellectual and spiritual union of all Albanians. We are fighting to mobilize all the vital forces of the nation against the occupiers in order to realize the ideals of Balli Kombëtar.